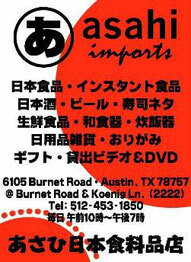 Statement 1 (Name) - English name: Austin Japanese Association (AJA); Japanese name: Austin Nihonjin Kai. Statement 2 (Location) - AJA headquarter will be located at University of Texas at Austin. Statement 3 (Purpose) - AJA is made in order to support the Japanese society (families and students) such as the purpose shown below. 1) AJA will provide a place where members are able to develop in any way. 2) AJA will improve the living standard of the Japanese community by providing Austin's information for its members and coordinate Japanese events. Statement 4 (Rule of management) - AJA is run by membership fee, donations, and sponsorships and will not act for one's or an organization's benefit except for its sponsor's advertisement. Statement 5 (Member qualification) - Qualifications for members are 1) Japanese, and/or 2) person with interest in Japanese, and that these members understand the purpose of AJA and help out others. Statement 6 (Membership fees) - Membership fees will be discussed by the officers each year and will be announced at the general meeting. Statement 7 (Members) - Membership terms start May 1st and ends April 31st of the next year. Members who pay will follow this AJA rules. Joining AJA in the middle of the term will not give you a discount or extension of membership. Statement 8 (Renewal or withdrawal) - Renewals can be made with the payment of next year's fee. Withdrawal will be made under two conditions: 1) telling one of the officers, 2) not paying the membership fees. Statement 9 (Penalty) - Membership penalties will be discussed in officer's meeting. Statement 10 (Event) - Members will be invited to all AJA sponsored events for free or a discounted rate. Statement 11 (Newsletter) - Members will be issued a newsletter quarterly. Statement 12 (Mailing list) - Members will be able to communicate through a mailing list. Statement 13 (Other benefits) - Members will receive any benefits that is decided in officer's meeting. Statement 14 (Sponsors) - AJA will ask for sponsorship or a donation to keep the organization running. 1. Donations or advertisement may be refused under some circumstances. Statement 15 (Advertisement approval) - If AJA receives an advertisement, the company or store will pay the amount for the space in the newsletter. Statement 16 (Other activities) - AJA and sponsors may do an activity together. Statement 17 (Election of officers) - If you wish to become a president, tell the president and he will elect you equally and fairly. 1. Other officers will be picked by the president. Statement 18 (Officers and their jobs) - Officers will represent and run AJA. 1. Officers will have a general meeting quarterly. Statement 19 (Officer's term) - Officer's term will begin May 1st and end April 31st. Statement 20 (Officer's removal) - Suspected inappropriate behavior of an officer will be reviewed by other officers. A one-half majority vote in favor of removing the officer is required to remove the officer. Statement 21 (Structure) - The president will give each officer their role in AJA. Statement 22 (Officer's payroll) - None. Statement 23 (General meeting) - General meeting will be held more than once every year. Statement 24 (Dismissal of AJA) - AJA will be dismissed if 3/4 of the members decide to dismiss. Statement 25 (Change in rule) - Change in rule will be discussed in officer's meeting and will be announced in a newsletter. If 1/3 of the members object to the change within a month of the announcement, officers will be responsible to re-discuss it. If there is no objection, the new rule will be enforced one month after the announcement. Statement 26 (Validity of rule) - This rule will become effective on November 1stin 2004 if no more than 1/3 of the members object to it by October 31st in 2004.